With the transition from summer to fall quickly upon us it's time to start thinking about quick and easy backyard room improvements! One of the more popular backyard room trends of 2016 is bringing indoor living outdoors. Maintaining a flow from your indoor space to your outdoor space is a very important aspect of successfully bringing your indoor living outdoors. A great way to accomplish this is to maintain a similar theme or color pallet cohesively from inside to out. 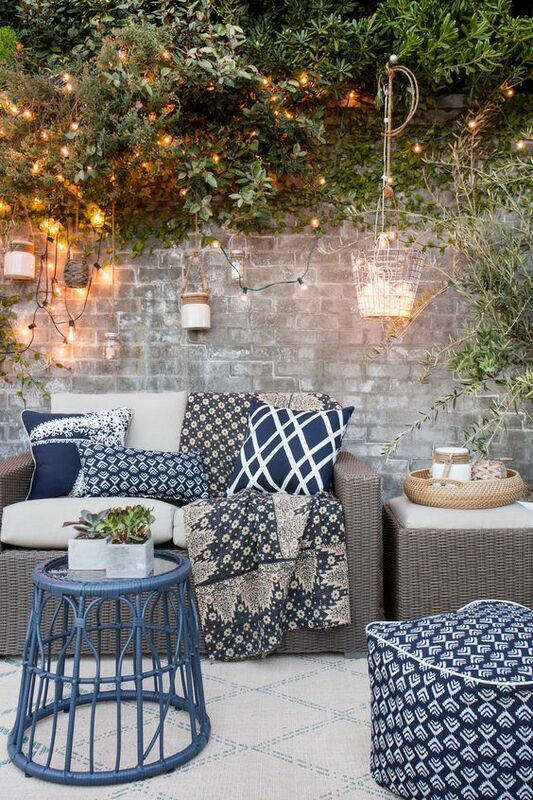 If your home has a more eclectic style or feel it would be a good idea to continue with that flow outdoors. The decor can have a huge impact on the feel of your space so adding similar colored rugs or keeping the same materials consistent from inside to outside will do just the trick! If you have a more modern flow throughout your house stick with that concept and include sharp, hard lines in your backyard room furniture. 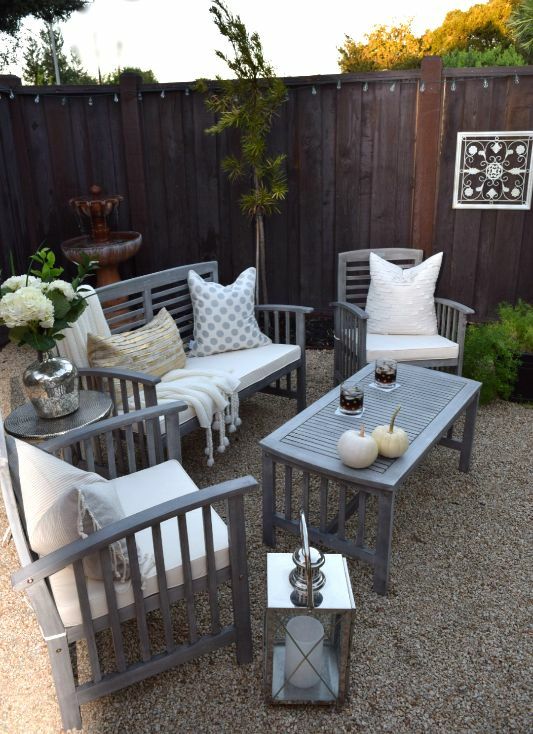 You can't go wrong incorporating grays and blacks into your backyard color scheme as well! A rustic backyard room feel can easily be achieved by incorporating colors and patterns that are present in your home. Another option is refurbishing an old piece of furniture from inside your home to make use of it outside! Another important aspect of bringing indoor living outdoors, is adding a variety of seating options into your backyard room. Incorporating multiple seating options allows you to host both small and large gatherings. A few different types of seating that are good to have around are benches, chairs, lounges, and ottomans. If the furniture is light weight and easy to move around even better! Incorporating both a sectional seating area as well as a large dining table will give your backyard room the illusion and feel of a conventional indoor living room. 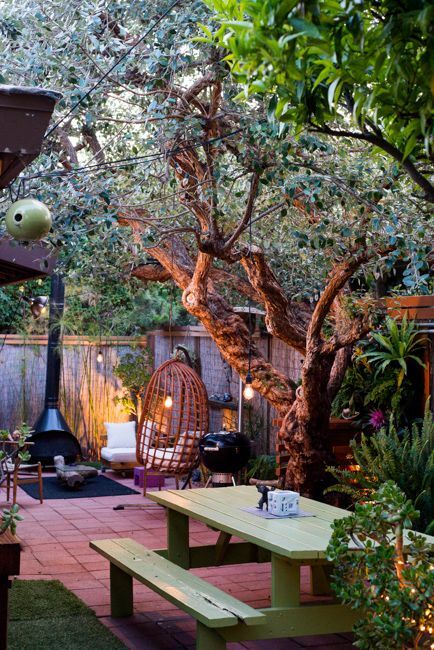 As we approach the cooler months incorporating a fire pit will also make your backyard room feel cozy. The multipurpose ottoman will be your best friend this season. In the case that your backyard room is more quaint it might be challenging to add a variety of seating options. Thank goodness for ottomans! An ottoman will take up minimal space and can be used as a table, foot rest, and as an alternative seating option. Make the most of your backyard room by splitting the dining space. Like many family rooms, the dinner table and the living room are fairly close and continuing that idea when you bring indoor living outdoors is a must! Having light weight outdoor furniture is very convenient and typically less costly! You will thank me later when you are able to rearrange your backyard room at a moments notice for those surprise guests that just decided to "pop in" to say hello. Benches, Tables and Chairs Oh My! 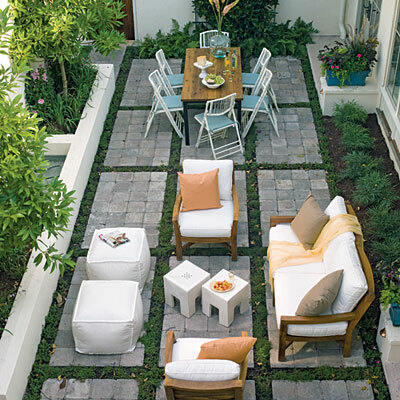 This backyard seating arrangement is perfect if you are having a large get together. Multiple seating areas allow for more intimate conversations, mingling, and less congestion. I'll say it again, you can never have too many ottomans. 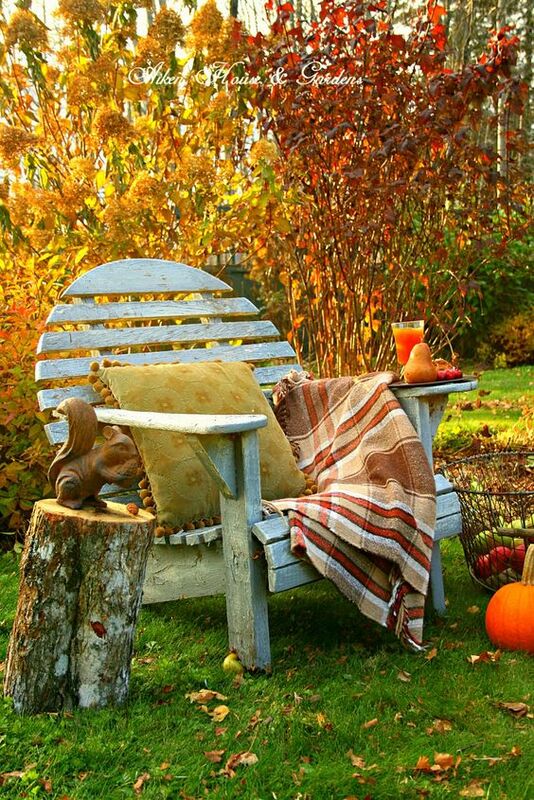 These simple tips and tricks are sure to help you successfully bring indoor living outdoors this fall season!